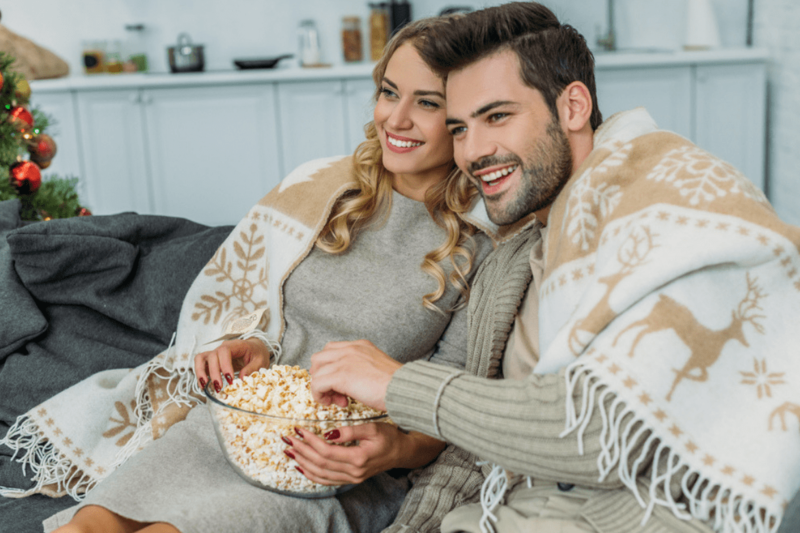 It’s that time of year again, the snow is falling, the air is crisp and you’re ready to watch the top Christmas movies around. Well you’re in luck because I’ve compiled this list of Christmas films for you to enjoy. There are twenty five movies for twenty five days of Christmas. You better get your hot cocoa ready! I’ve made sure to include everything you could want, from heartwarming to hilarious. You’re getting classic holiday movies going all the way back to the 1930’s right up until today. Nothing gets me in the Christmas spirit quite like sitting by the fire on a cold December night and watching a great movie with loved ones. Hope you have a wonderful Christmas and I hope this list will help make your holidays a little extra special. Let me know below what your favorite Christmas movies are! There is nothing quite like watching this beloved classic during the holidays. No one will ever get tired of watching this movie every year. Will little Ralphie get the Christmas gift he’s been wishing for? George Bailey is down on his luck on Christmas, but he discovers just how much he means to those around him. Buddy the elf leaves the North Pole and heads to New York City to find his real father in this hilarious Christmas comedy. Kris Kringle is a department store Santa Claus who claims to be the real thing. But, is he? At first Rudolph doesn’t fit in because of his red nose. But by the end he’s leading Santa’s sleigh and saving Christmas for everyone in this heartwarming tale. A magic hat makes a snowman come alive in this “jolly happy” movie. Kevin McCallister gets left behind when his family goes on vacation for Christmas. Now he has to save his house from the bumbling burglars trying to rob his house. Clark Griswold wants to have the perfect Christmas, but it doesn’t go according to plan. Will he ever get those Christmas lights right? Tim Allen plays a man who discovers that he is going to have to take Santa’s place by next Christmas. This is a timeless classic musical staring Bing Crosby. The tale of Ebenezer Scrooge starring Kermit, Miss Piggy and all your favorite Muppets. Bill Murray stars in this modern retelling of A Christmas Carol. It’s Christmas Eve and a workaholic father(Arnold Schwarzenegger) wants to get the hottest toy of the year for his son. Unfortunately for him, so does everyone else. Jim Carrey plays the Grinch in this hilarious live action version of the story by Dr. Seuss. A boy takes a ride to the North Pole in this movie based off the beloved children’s book. There’s three Christmas stories wrapped into one movie told by Mickey and his pals! The Krank’s don’t want to celebrate Christmas this year but their neighbors are obsessed with winning their towns “best decorated street” competition. The comedy duo Laurel and Hardy light up this Christmas fairy tale. Real oldie, but a goodie! Keven McCallister finds himself separated from his family once again. And he must stop those bumbling burglars once more! Santa regains his Christmas spirit in this stop motion animation feature. Two shop workers who can’t stand each other in real life discover that they have actually fallen in love as pen pals and finally realize it on Christmas Eve. Dudley claims to be an angel sent to help Bishop when he asks for help to build a cathedral. He end’s up helping Bishop with so much more. Santa’s youngest son has to save the day when one single child is forgotten about on Christmas. Hope you enjoyed these best Christmas movies!